For months now, Western counterterrorism experts have sounded the alarm: as ISIS loses ground, foreign fighters from America and Europe may try to return home. When they do, the experts cautioned, they will carry the terror threat with them, ready and willing to strike in Western countries. And law enforcement agencies must be prepared. Now, with the fall of the Iraqi city of Harija -- the Islamic State's last major stronghold -- and the impending collapse of its Syrian capital, Raqqa, the time has finally come. But is law enforcement prepared? An estimated 5,000 Europeans have joined ISIS and other terrorist groups since fighting first broke out in Syria. While some surviving members may choose to remain in the region, or travel to other conflict areas like Afghanistan, a few thousand others will likely try to make their way back home. In countries such as France, Belgium, Germany and the Netherlands, most of them will be taken into custody and ultimately tried for terror-related offenses. But that only covers those who re-enter through legal means. Most will try clandestine paths. And porous borders make such illegal re-entry disturbingly simple, as the rampant smuggling of refugees has already made abundantly clear. An ongoing lack of coordination of intelligence and security agencies across Europe will further enable terrorists to slip in unnoticed. That's what happened with Mehdi Nemmouche, who shot and killed four people at the Brussels Jewish Museum in 2014. The same is true of Reda Kriket, who travelled to Syria twice, before being arrested in March 2016 on suspicion of plotting "at least one" attack in France. And Brussels airport bomber Ibraham El Bakraoui had previously been arrested by Turkish officials as he attempted to reach the Islamic State. "Despite improvements since 9/11, foreign partners are still sharing information about terrorist suspects in a manner which is ad hoc, intermittent, and often incomplete," a 2015 report of the Task Force in Combating Terrorist and Foreign Fighter Travel said. Such critical intelligence failures also pose risks outside of Europe. 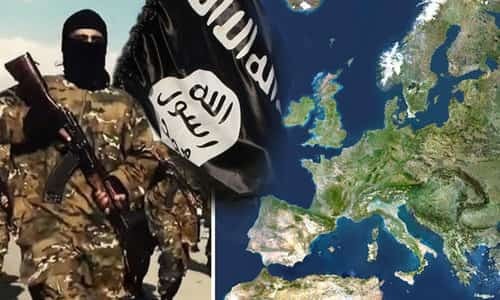 "The larger concern is that some European extremists might be able to make it to the United States undetected once they have left the battlefield," the report's authors said. With visa-free entry into the US allowed for European citizens, such fears are not unfounded -- and compound the threats posed by returning US nationals. Even so, some US officials caution against overreacting to the threat that American returnees may cause. Former Director of National Intelligence James Clapper argues that most of the 40 Americans who have returned from the Islamic State did so for reasons "that don't relate to plotting" -- such as homesickness and family matters. Others, like analysts at the New America Foundation put a greater emphasis on the danger from jihadists who never actually left the US, but were radicalized locally or online. "Whether or not returning fighters carry out attacks, they return with the prestige of warriors and credibility on the street," a 2014 RAND report observed. "They are able to recruit other fighters to go to the Middle East and they can gather like-minded groups around them." RAND political scientist and International Center for Counterterrorism fellow Colin Clarke agrees, writing in The Atlantic that some returnees, both in the US and in Europe, may "attempt to resuscitate dormant networks, recruit new members, or conduct lone-wolf style attacks," as some Europeans have already done. Tackling the threat, US and European officials agree, depends heavily on European authorities' ability to improve their intelligence capabilities -- a daunting task at a time when rising crime rates, concerns about existing terror threats, logistically complex bureaucratic systems and international rivalries continue to draw on the intelligence agencies' reserves. Moreover, not all European states agree on the best way to handle returnees. While most of these jihadists are jailed and tried on terror charges, returnees to Denmark, for instance, are placed in rehab programs that offer schooling, job training and housing, among other benefits -- with the hope being that they will rejoin society and reform. Create "re-socialization" programs for detainees, even pre-trial. Provide religious guidance through "trustworthy chaplains." Employ mental health experts to work with those who may suffer from PTSD or "disillusionment." "Be aware that many returnees -- even if not engaged in criminal behavior -- may still strongly support ideologies opposing apostates, other religions, so-called infidels, women's rights and even EU societies as such. Most have been subject to severe indoctrination. Consider dialogue, mentoring and other techniques for returnees with such strong beliefs." In part, this careful handling reflects the reluctance of countries like Denmark to treat returnees as criminals. But as RAND points out, it also comes as a result of difficulties in assessing "which returnees pose a terrorist threat and which do not." These uncertainties could require monitoring all returnees for indefinite periods, raising civil rights questions as well as economic and other practical concerns. Whether such careful handling will effectively thwart radicals remains to be seen. Meantime, US officials are taking a different, more punitive approach. Sentences in the US are longer -- and can include the death penalty, which is banned in Europe. Moreover, EU laws can be vague regarding which potentially terror-related activities constitute a crime. By contrast, RAND says, American courts are better prepared for the challenges of convicting returnees, thanks in part to the fact that, in the United States, "providing material support to a terrorist organization, which includes joining or attempting to join a terrorist group, is already a crime." But for both Europe and America, RAND suggests another alternative: encouraging returnees to cooperate with intelligence agencies in exchange for lighter sentences, thereby becoming valuable resources in the battle against jihadism in their homelands, and helping to locate and convict other terrorists returning from abroad, especially those who have entered illegally. These are the hardest people to find, and pose the greatest danger. But even without cooperation from within, there may be other strategies. RAND's Colin Clarke calculates that approximately half of all Islamist terrorists involved in attacks in Europe had criminal pasts. In contrast, others put the figure closer to 22 percent. "Many foreign fighters began as criminals," Clarke wrote on Lawfare, "and many might turn to crime on their return." Indeed, those seeking to finance attacks are likely to look to criminal activity -- such as drug trafficking -- to secure it. Hence, Clarke notes, "To root out returning foreign fighters, authorities should first look to the underworld from which the fighters originally emerged. Criminals inevitably return to what they know best." Clarke's approach for Europe applies equally to America. Yet for all its practicality, the criminal element of these terrorists' backgrounds also points to an additional danger. As Canadian counterterrorism analyst Mubin Shaikh has noted, "prisons are a factory for radicalization. The jihadis themselves say prison is the university of jihad." Should those trained in militant jihad find their way back into the criminal circuit, that situation could only worsen. Ultimately, the problem of returning jihadists promises to be a complicated one across the West, likely for years to come. In the face of an unprecedented terror threat, we have no map to travel by. Originally published by Algemeiner.com - reposted with permission.